Kashii Kaen transforms into a magical park at night. It’s a circus of lights entertained by flowers. 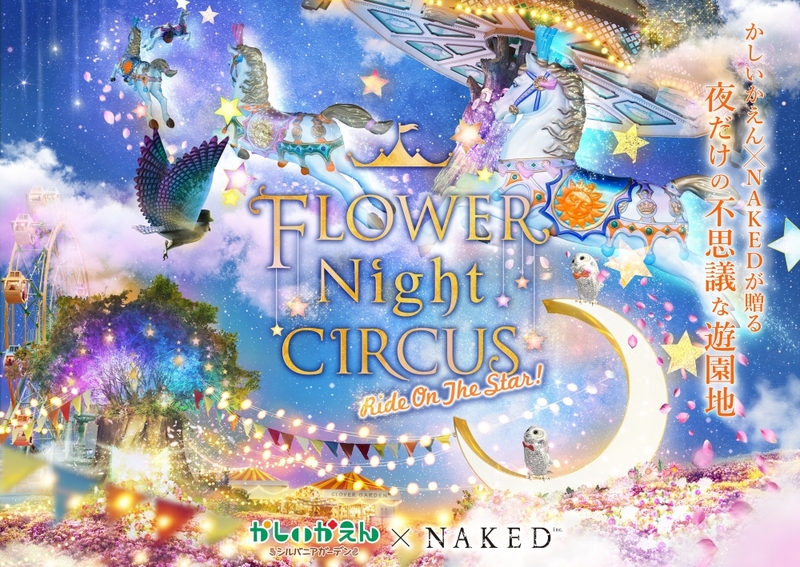 The night-time theme park is directed by Creative Company NAKED. Special experiences will be offered. In the first ever projection mapping at a “Merry-go-round” in Japan, lots of stars and so forth will be projected on the floor. You’ll be amused with your surroundings as if you were running in the starry sky. 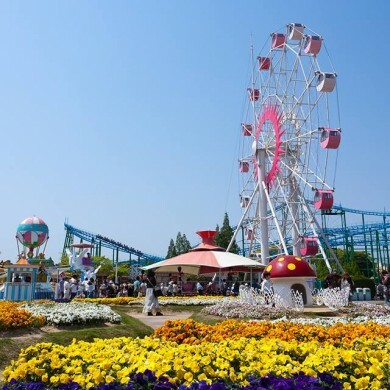 Besides, you can enjoy a special night available only here, including a special Ferris wheel with illuminations and fragrance, romantic photo spots and more. A creative company established in 1997 with Matsumoto Ryotaro as the central character. The company creates “integrated space production with the use of lights”, such as projection mapping. *Usual opening hours are until 17:00. *Free for those who entered during usual hours. *Economical free pass for rides after 17:00 (1000) is on sale at the Service Center. *You could remain inside the park after usual hours (17:00), but you will be asked to move to the Ferris wheel area as there are some restricted areas at night. *Please enter from the front/ west gate. *The south gate will be closed after usual hours (17:00). Please use the front/ west gate to go out of the park.